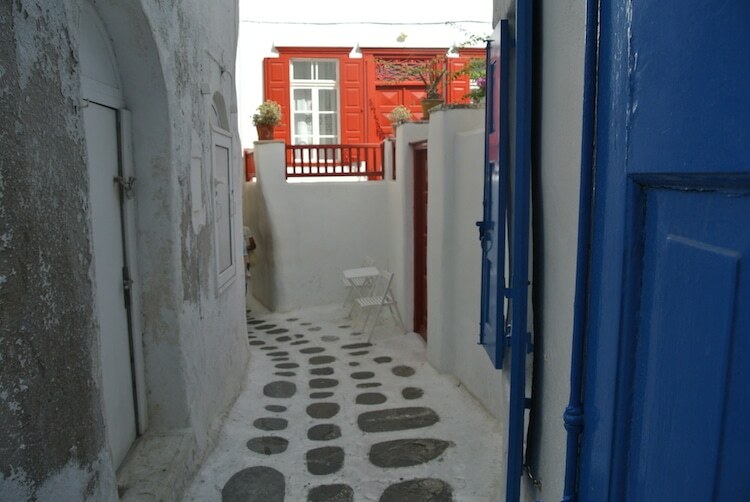 Tiny little streets lined with white buildings splashed with colourful doors, the streets of Mykonos town were such fun to explore. Chris and I got lost a few times, but wouldn’t have had it any other way. Although Little Venice can be a little touristy, it’s definitely worth a look. 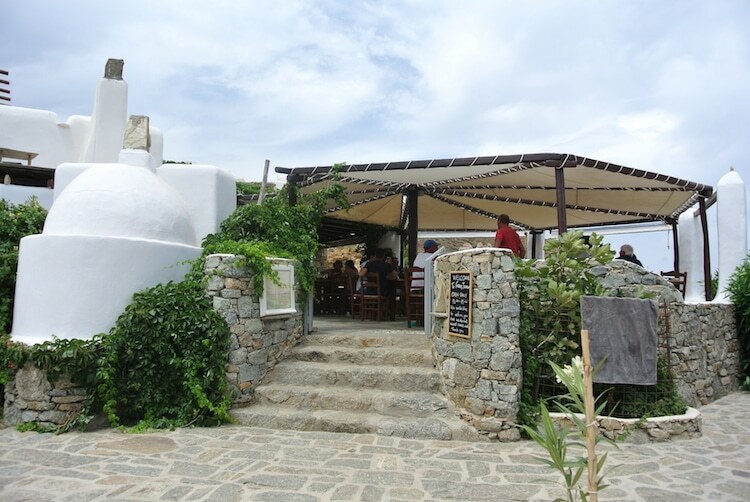 Bars and restaurants line the waterfront, all with a view of the windmills Mykonos is known for. This one was a total surprise. We stumbled across it on our drive around Mykonos to the different beaches. 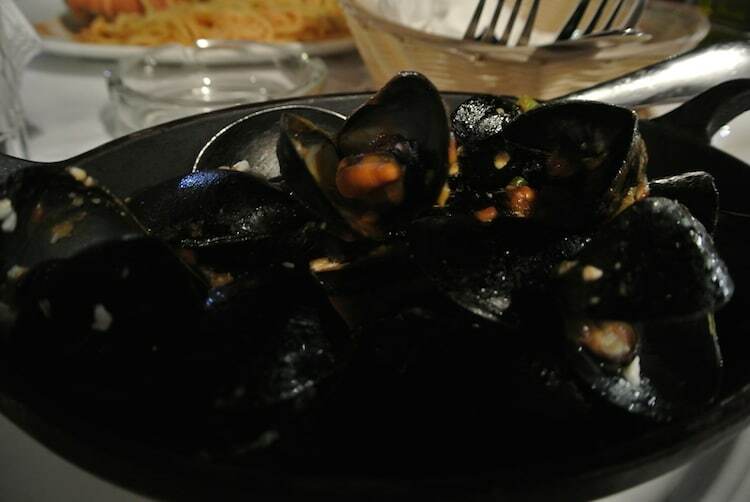 This restaurant is at Fokos Beach, and the food is not only delicious but it’s unique too. An absolute gem and one of my favourite things to do in Mykonos. Panormous beach did get quite busy, but the water was crystal clear, the sand white and soft, and if you wanted to spend the day it had good facilities, including a restaurant and lots of umbrellas/chairs/cushions on the beach. 5. Exploring the local fruit and vegetable shop and supermarket for supplies. I love going to supermarkets and shops that I would If I lived in a place. I love comparing them and the experience to home, finding the different food, it’s simple but I love it. 6. Making our own Greek Salad in our room, and sitting on the balcony eating it. 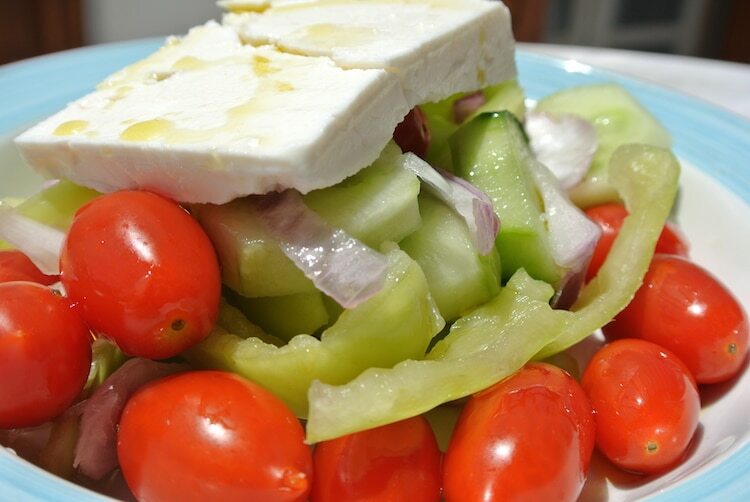 It seemed that wherever we found feta, Chris and I would make a Greek salad. Although we could have bought one out, sometimes it’s nice to go to the shops, prepare and eat at ‘home’, taste the fresh produce and relax. 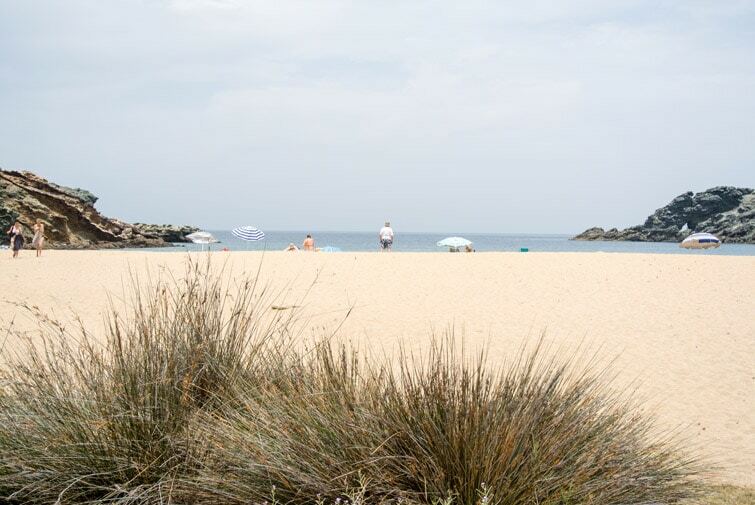 There was something about Lia Beach. It wasn’t too crowded, remote but not too remote, the water was stunning and it just had a nice feel about it instantly. 9. The sea of “white”. White buildings. White Clothes. White boats. 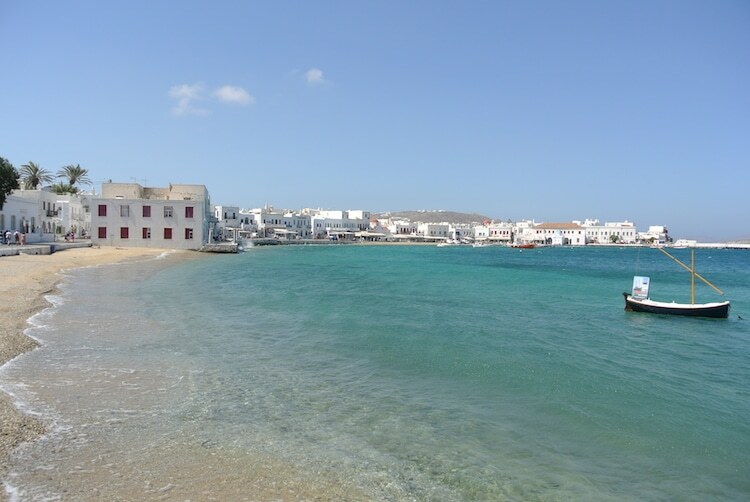 As soon as you step onto land in Mykonos, you are hit with this sea of white. It’s an amazing contrast to the blue of the sea, and all the colours just pop. 10. 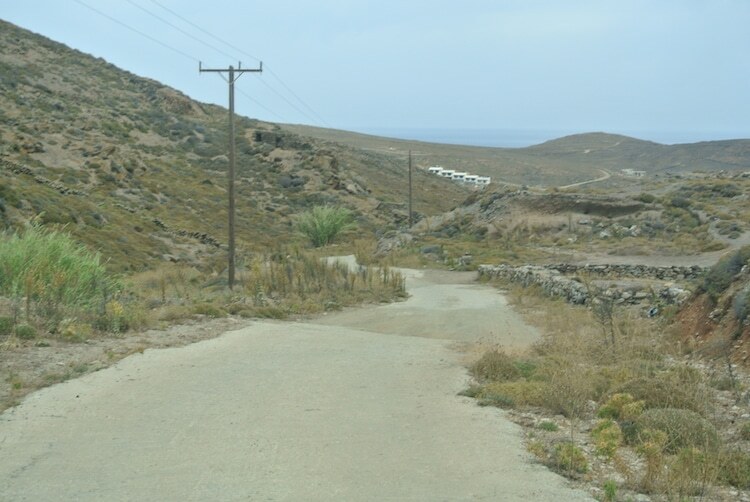 Hiring a car and driving around dirt roads in Mykonos to find all the beaches. This was by far my favourite thing to do in Mykonos. Chris and I hired a car and drove all around Mykonos from beach to beach. 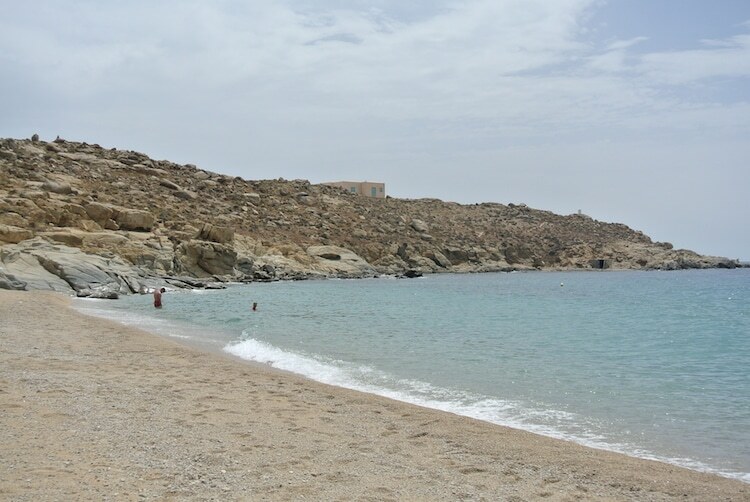 There is so much more to Mykonos then what’s in the main tourist areas, so it’s really worth while hiring a car and getting out a bit. Mykonos was a nice surprise, and I’m so happy it was one of the Greek Islands we visited. 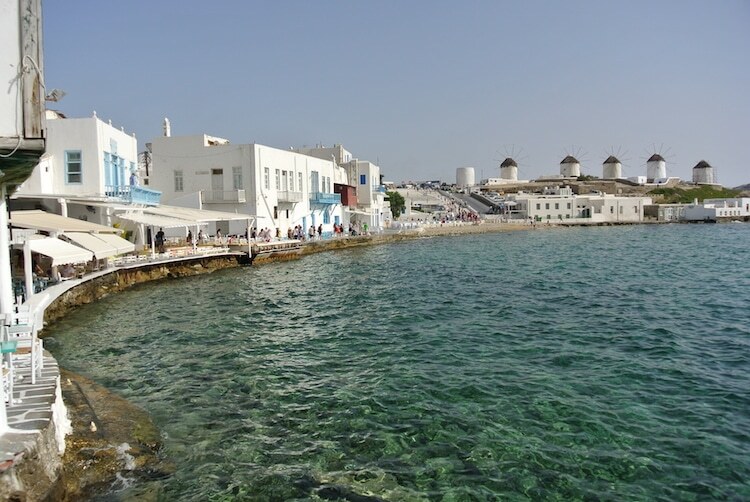 There are lots of things to do in Mykonos. 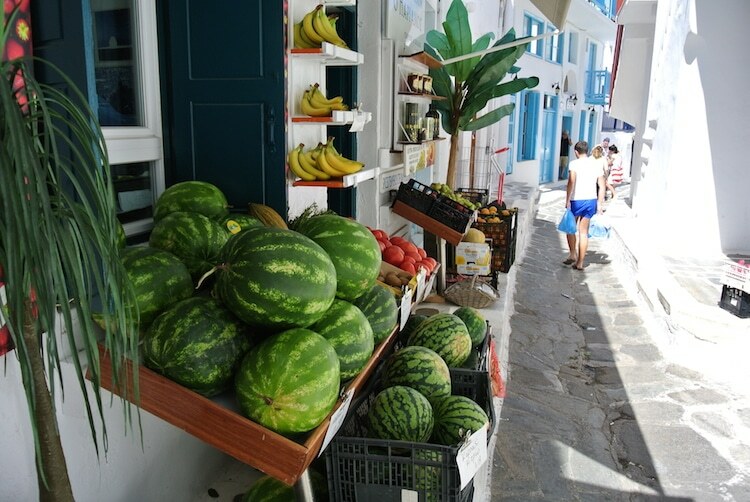 You can go to Mykonos to party, to shop, to relax on the beach, to explore, to visit nearby islands, to eat, to drink… so you can really make it what you want it to be. What was your experience of Mykonos? Or are you thinking of going?